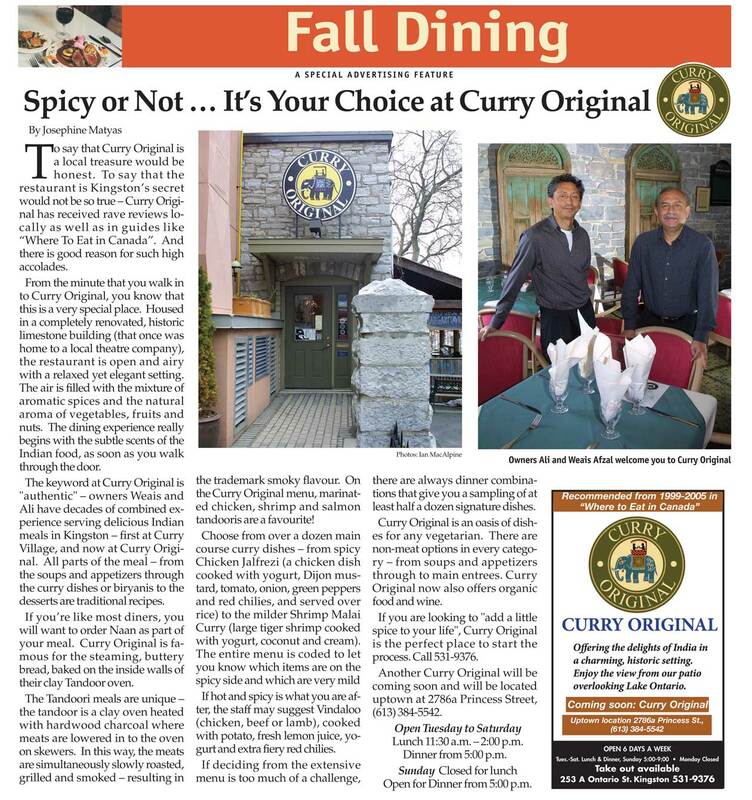 "To say that Curry Original is a local treasure would be honest. To say that the restaurant is Kingston's secret would not be so true". Curry Original restaurant has received reviews in Kingston as well as in guides like "Where To Eat in Canada" from 1999 to 2015.